Forty has just competed in the 2019 Farr 40OD Australian National Championships where she finished a very respectable 3rd in a strong local fleet. 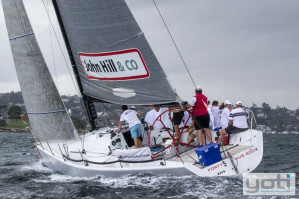 Lying in Sydney Harbour she is now ready for sale and exclusively listed with YOTI. 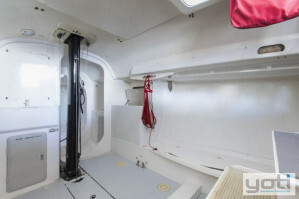 Build by dk Yachts in 2001, Forty is a proven Farr 40OD, with a great sail wardrobe and solid B&G instrument package. 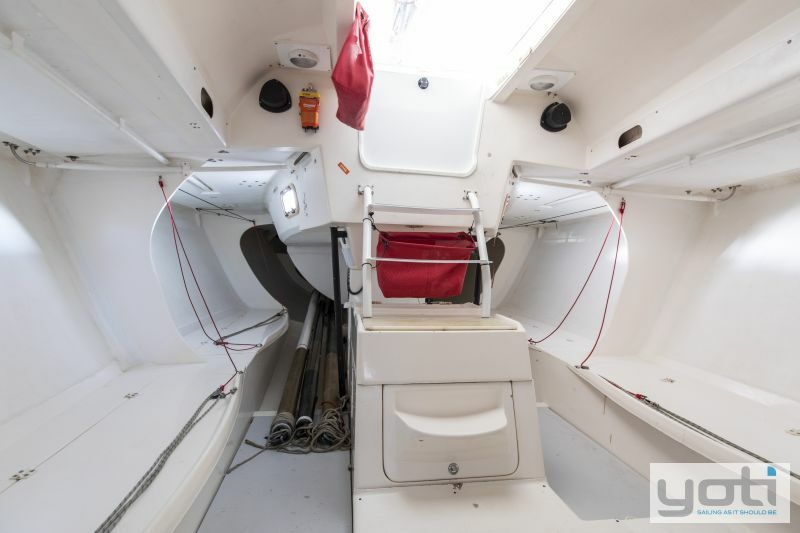 In current AYF Category 4, this Farr 40 can cross over from a fast and easily sailed twilight yacht, an IRC competitor or Farr 40 One Design winner, the choice is yours. For more information on this listing, please contact Tim Vine at YOTI. Deck Construction Material : Epoxy/ E Glass/ Foam Composite. 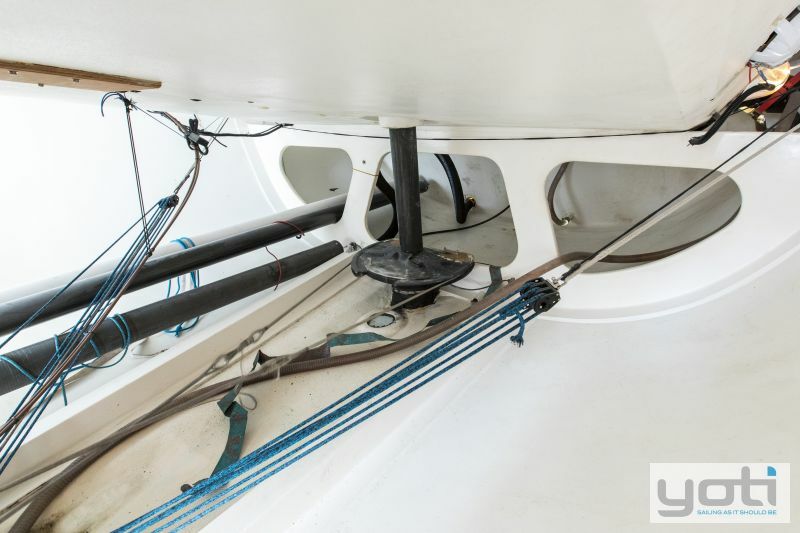 Keel/Ballast : Fin and bulb keel. Engine Notes : Enclosed engine. Number of Batteries : 1 x house. Fuel Tank Capacity (L) : 75 ltrs - Stainless Steel tank. Accomodation Notes : Open racing layout. Number of Berths : 4 x pipe berths. Number of Toilets : Marine head. 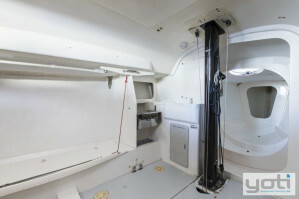 Galley Notes : Water system - Manual cold. Number of Sinks : Small sink with manual cold pump. Bilge Pump : Electric and Manual. Deck Gear : 2 x Harken 48.3 Primary Winches, 2 x Harken ST44 Mainsheet winches, 2 x ST44 Cabintop winches, 4 Cabintop jammers, 6 x camcleat on Cabintop, 6 winch handles. 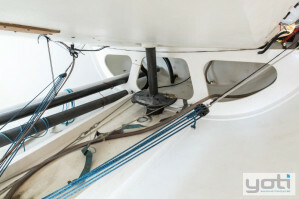 Mast/Rigging : Carbon twin swept fractional mast. Carbon mast. Aluminium boom. Stainless Steel rod rigging. 3 x Spinnaker poles. 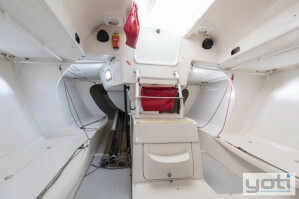 Sail Inventory : Main - 2013 Main North 3 DI Raw, Delivery main Dacron fully battened. Genoas - Overlapper North Overlapping Headsail. Jib - L-2013 North Sail 3DL, M-2012 North Sail 3DL, H-2012 North Sail 3DL, #4-2013 3DI Raw. Spinnakers - S-1 (NS), S-1.5 (NS), S-2 (NS), 1.5 (Doyle). 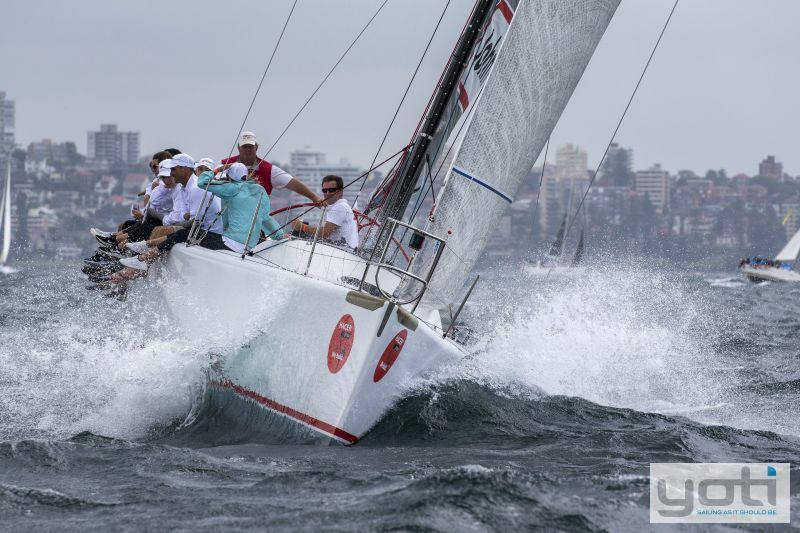 Stormgear - Trysail and Stormjib. Spare Sails - 0.6 Spinnaker, . 75 Spinnaker, Code 0,2 x #4 Ullman, J2 Ullman, Spare Main. 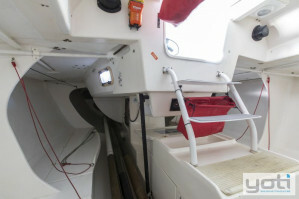 Electrics : 12 V interior lighting. Navigation lights. Electronics Navigation : Sounder/ log - 2 x Hydra 2000 Multi displays in cockpit. Wind instruments - 2 x Hydra 2000 Multi displays in cockpit. 4 x 20/20 Jumbos on mast. 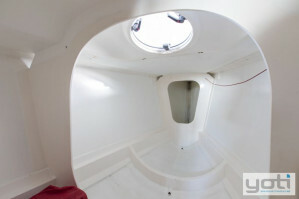 Safety Gear : To AYF Category 4, Liferaft. Covers : Boom Cover, Pole Cover. Ground Tackle : Folding anchor with chain and warp. 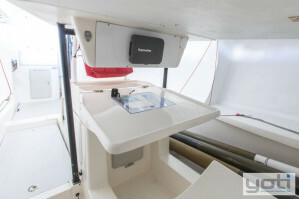 GPS : Raymarine GPS Plotter at Navigation table. Has Navigation Lights : Yes. Engine Make : Yanmar model - - 3GM30FC.